When it comes to performance enhancers and muscle builders, creatine is the most used and researched single ingredient supplement. Through the years there have been dozens of forms of creatine, all claiming to be the latest and greatest. If you’ve been around a while, you remember the days of loading creatine, stacking it with a bunch of sugar, or drinking CEE that tasted like a combination of pennies and lemons. Gross! Thankfully...those days are long behind us and the standard now is what it should be...just take your creatine as is. Plain and simple. In typical PEScience fashion, we take it a step further. 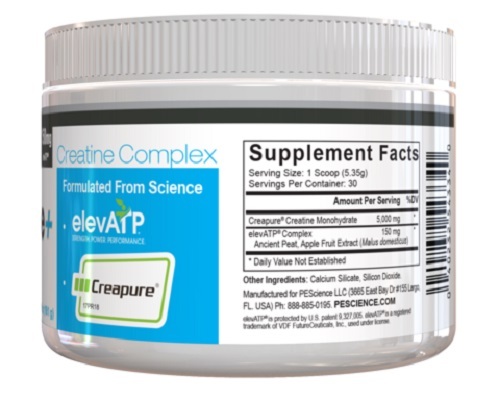 We make sure you are getting the highest grade of creatine available, Creapure® creatine monohydrate. TruCreatine+ essentially has no taste...so you can combine it with anything, or nothing! This product is only intended to be consumed by healthy adults 18 years of age or older. Do not use if pregnant or nursing. Consult with your physician before using this product, especially if you are using any prescription or over the counter medication or if you have any pre-existing medical condition including but not limited to: high or low blood pressure, cardiac arrhythmia, stroke, heart, liver, kidney or thyroid disease, seizure disorder, psychiatric disease, diabetes, difficulty urinating due to prostate enlargement or if you are taking a MAOI (Monoamine Oxidase Inhibitor) or any other medication. Discontinue use 2 weeks prior to surgery. Discontinue use and consult our health care professional if you experience any adverse reaction to this product. Do not exceed recommended serving. Do not use if safety seal if broken or missing. KEEP OUT OF REACH OF CHILDREN.